If Not Now -- Then When? White t-shirt with in red the text: If not now - then when? 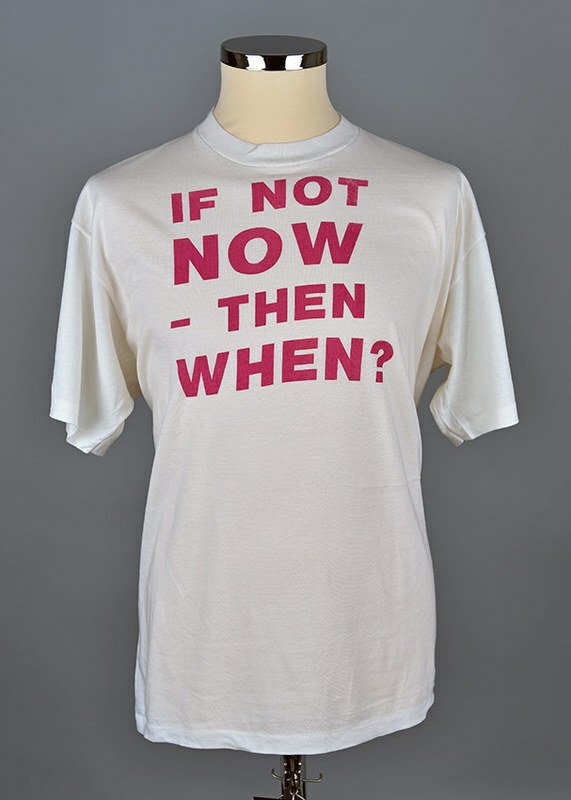 “If Not Now -- Then When?,” Wearing Gay History, accessed April 19, 2019, http://wearinggayhistory.com/items/show/4647.